… because it’s stone and breaks naturally into flags. 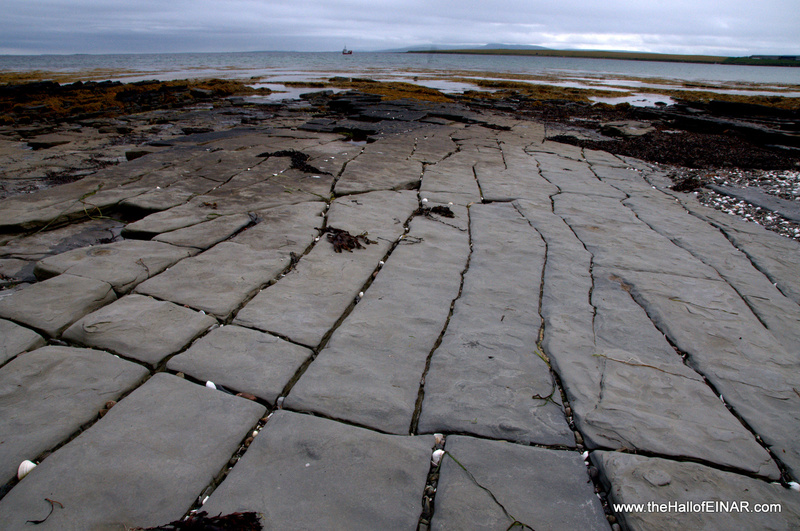 The whole Island of Westray is made of it. Perfect flagstone paving everytime. It’s just a pity that there’s no naturally occurring slate on the island, because flags make very, very heavy roofing materials. Most of the old buildings have collapsed because of structural failure of the roof timbers under the sheer weight of stone. At Einar several of the buildings have gorgeous flagstone roofs (timbers looking fine!) and the stable has a flagstone floor. Natural materials in their natural element.